Rock Mecca (more on him after the jump) taps New Jersey’s Golden Era greats Artifacts (El Da Sensei & Tame One) for a remix to his single “Survivor Series.” Unapologetic, hard-hitting boom bap Hip-Hop. Yessir! Damn. That’s a strong lineup. AND L-L-LOOK! It’s StaHHr! She’s ’bout to snap on a track again! That alone was occasion enough for me to take a look-see (and listen). And I am glad I did, because for some who still sleep, this is my opportunity to share some real essence of way back. Boom bap or get slapped. This is Hip-Hop family. 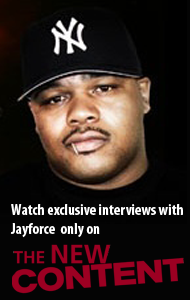 So, have a seat and belly up to these BARZ. “B-Boy Bonanza” – buffet of choice lyrics from Eloh Kush & Dus, featuring John Robinson, EL Da Sensi, A.G. (of D.I.T.C. )… and StaHHr with the shutdown verse. Just a bump off that “Angeldus” LP. Dope! So…Copenhagen (Denmark) produced this baby boy who would grow to be a dope producer Kriswontwo would drop a double-single bundle, featuring some of our fav artists, along with a full-length album “Ceremoni” this week. Okay, we skipped a bunch of steps. But check out his double-single bundle and album. For the Hip-Hop heads, there’s “Elevations”… Neo Soul/R&B enthusiasts should listen to “Life Force” ASAP. Make no mistake though, both of these tracks are tight. “Wrong Side Of Da Tracks” was the banger in the Golden Era. Now, Tame One and El Da Sensei get it in on the right side of this Def Dee track. Yep. 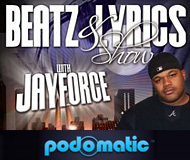 Artifacts is back with an “All Points Bulletin” (produced by Def Dee)! Listen by streaming above. Download for the FREE.99 by following the link below. In promotion of Coalmine Records’ upcoming ten-year anniversary compilation LP “Unearthed” here is the project’s final leak, “Show Stoppa” (featuring El Da Sensei). The first song off The Immortals Project’s forthcoming “Rogue Agents” LP, “Affirmative Action” is a track made for a Golden Era emcee like El Da Sensei. El and producer Duplicuts make up the core of a Hip-Hop special forces squad, The Immortals Project. Lethal flows over killer beats. Check out the music video above. ATTENTION: “Affirmative Action” is available from Shining Shadow Music now… and you can name your price until October 15, 2013, when it goes on sale worldwide. Go… go NOW. Get this!! 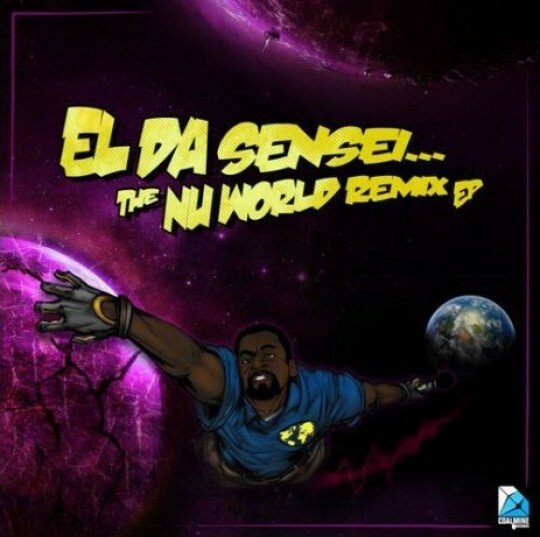 New Jersey Hip-Hop vet El Da Sensei is back with a remix of “To The Death,” a single that was originally featured on both the iTunes edition and physical CD of his “Global Takeover 2,” as well as on the more recent “The Nu World” (Remix) EP. Here is the video for the M-Phazes remix of “To The Death,” (originally produced the The Returners). 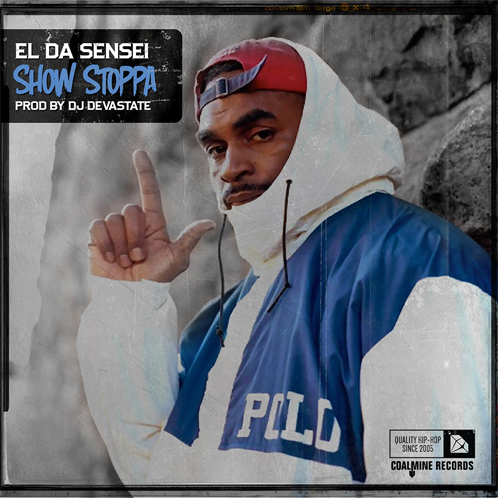 Directed by Darius Waters for ODC TV, the video takes us through a day in El Da Sensei’s life in Newark – from the streets to the lab to the stage. 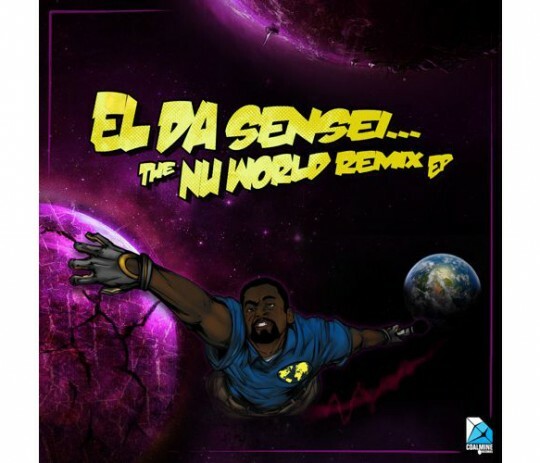 El’s Nu World Remix EP is on the way!! New joint featuring a dope lineup of MCs on a dope beat.